The PennHIP method is a novel way to assess, measure and interpret hip joint laxity. It consists of three separate radiographs: the distraction view, thecompression view and the hip-extended view. The distraction view and compression view are used to obtain accurate and precise measurements of joint laxity and congruity. The hip-extended view is used to obtain supplementary information regarding the existence of osteoarthritis (OA) of the hip joint. (The hip-extended view is the conventional radiographic view used to evaluate the integrity of the canine hip joint.) The PennHIP technique is more accurate than the current standard, and it has been shown to be a better predictor for the onset of OA. The looser the joint on the distraction view, the greater is the chance that the hip will develop OA. The hip-extended view tends to mask true hip joint laxity because the joint capsule iswound up into a tightened orientation when the hips are extended. This explains why measurable joint laxity on the distraction view is always greater than the measurable laxity from the hip-extended view. In fact, distraction laxity is up to 11 times greater depending on the breed of dog under study. dysplasia stems from the Greek words dys, meaning "disordered" or "abnormal", and plasseinmeaning "to form". The expression hip dysplasia can be interpreted as the abnormal or faulty development of the hip. Abnormal development of the hip causes excessive wear of the joint cartilage during weight bearing, eventually leading to the development of arthritis, often called degenerative joint disease (DJD) or osteoarthritis (OA). The terms DJD, arthritis and osteoarthritis are used interchangeably. Canine hip dysplasia (CHD) is the most commonly inherited orthopaedic disease in dogs. The disease is polygenic and multifactorial. 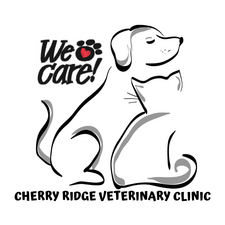 CHD is a major concern for working dogs, pet owners, breeders and veterinarians. Clinical signs by themselves do not necessarily mean that a dog has hip dysplasia, other conditions of the hip can mimic CHD. A radiograph is essential for a more accurate assessment of the dog's hip joint integrity. Passive hip laxity is subjectively scored or measured on a hip radiograph of a dog while it is under heavy sedation or anesthesia. The PennHIP method measures passive laxity. Distraction Index - Measuring Laxity section. OA causes pain and disability. OA affects all components of the synovial joint. There are treatment options for OA. Non-surgical treatments include use of NSAIDS and nutraceuticals, the modification of nutrition, increase exercise, and physical therapy. Surgery is also an option for end stage disease (ex., FHO, THR). 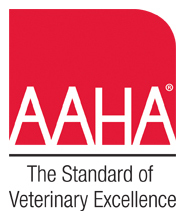 Genetic control and selective breeding are substantiated effective means of reducing the severity of CHD and the development of OA in subsequent generations of animals. Surgery is also an option (ex., TPO, JPS). However, the safety and efficacy of preventative surgical procedures have not yet been studied adequately.